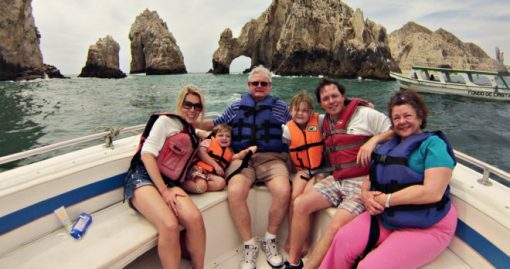 Transportation included only from Cabo San Lucas, from San Jose del Cabo and Turistic Corridor we charge 15 USD on roundtrip transportations per person . 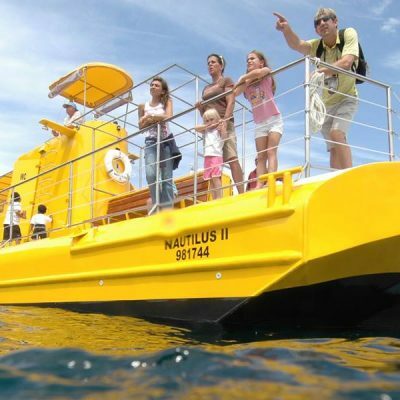 Maximum of 10 guests per departure. 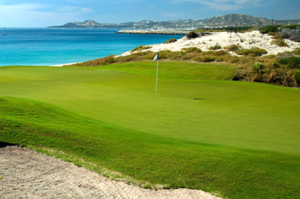 The near-perfect Cabo San Lucas weather with year-round sunshine makes this tour a real treat. 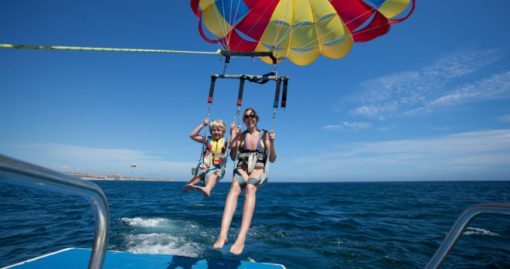 You and your family are safe with us when you choose Cabo Expeditions for your parasailing activity. 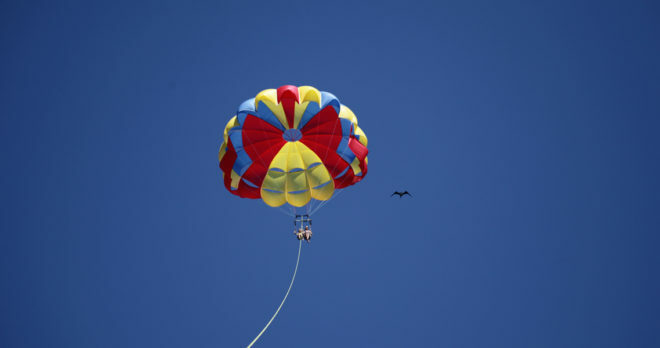 What Makes Cabo Expeditions’s Parasailing Adventure the Best in Cabo? 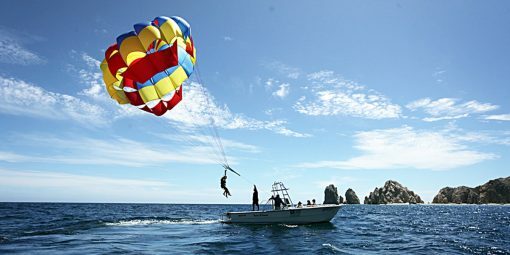 For starters, Cabo Expeditions is proud to be the only parasailing provider in Los Cabos with all required safety equipment and guide certifications. We are certified by WSIA, the Water Sports Industry Association, and follow all their strict operating and safety standards. 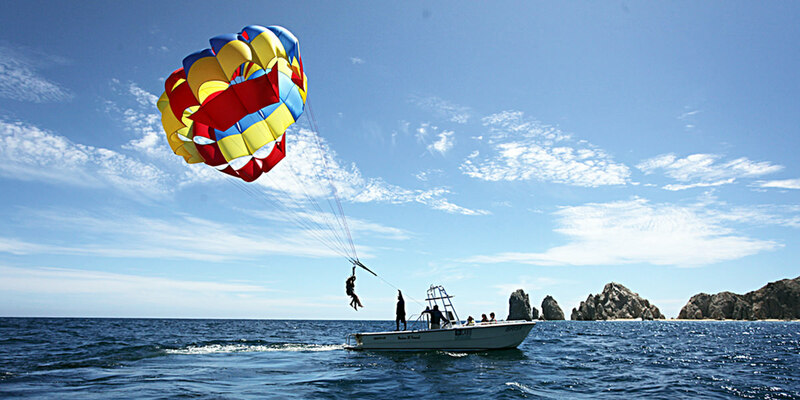 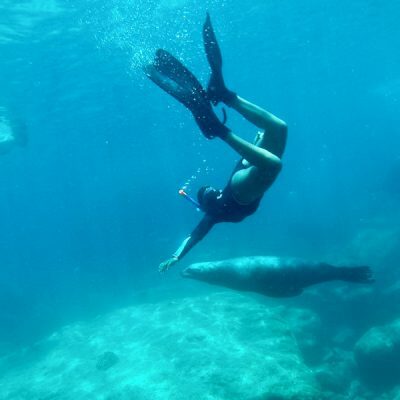 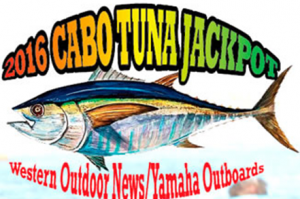 As the boat motors out through the Cabo harbor and into the bay, you will be fitted with a harness and then, one at a time, you will sit down on the back of the boat. The rest is simple and easy…the boat does the work! 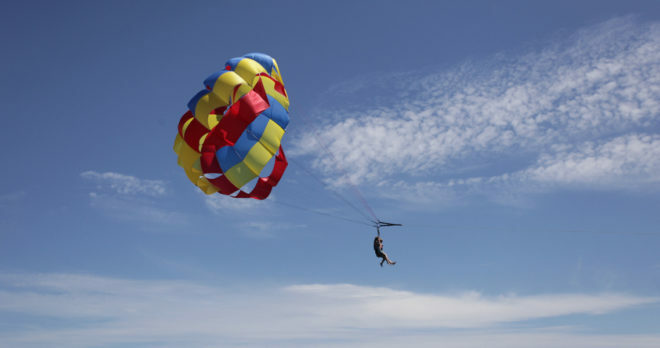 You will soar up to 600 feet, depending on wind and water conditions. 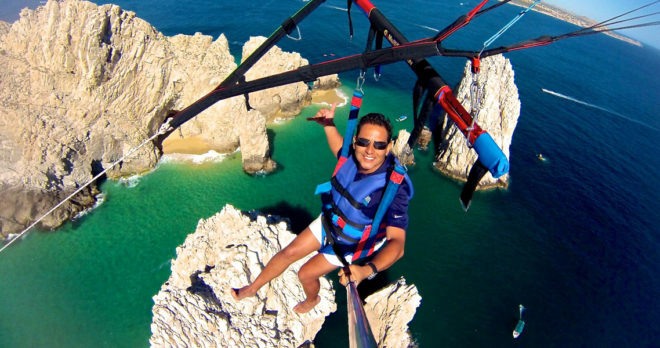 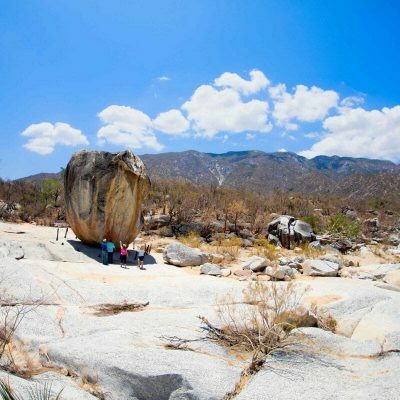 Enjoy Land’s End, the Arch, Lovers’ Beach, and the entire Cabo shoreline – all from a bird´s-eye view. 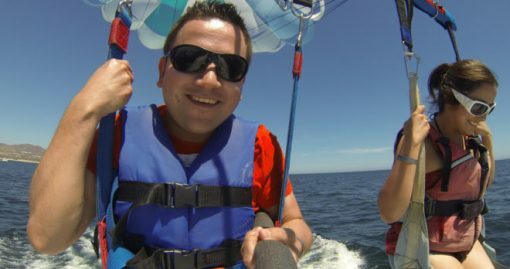 When you’re done, your boat staff will bring you back to where you started: dry and sitting down on the back of the boat deck. But you also have the option of skimming the water during your flight. 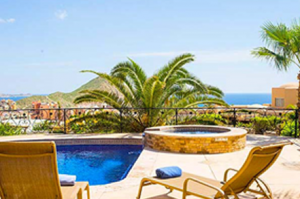 Cabo San Lucas weather is blessed with nearly year-round sunshine. The great weather provides near-perfect conditions, with clear blue skies, warm temperatures, and light winds. 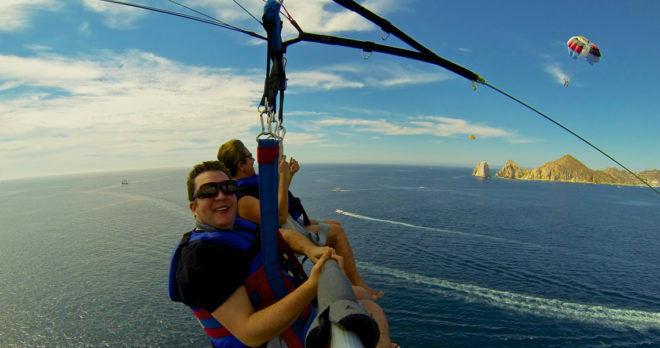 There’s no better way to see Cabo San Lucas than from the air! And don´t forget your camera to record your memories and prove to your friends that you really did it.